Two of the world’s most iconic vehicles are the classic VW Type 2 Bus, and the DeLorean DMC-12. So what would happen if you figured out a way to combine the two? 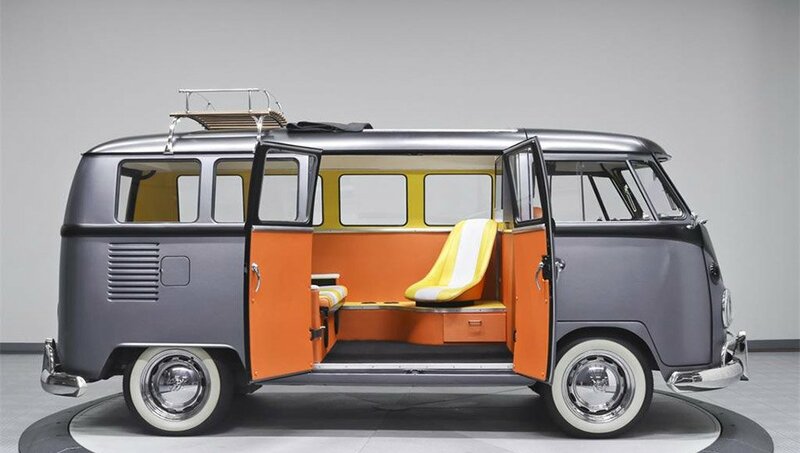 You’d end up with this one-of-a-kind van. 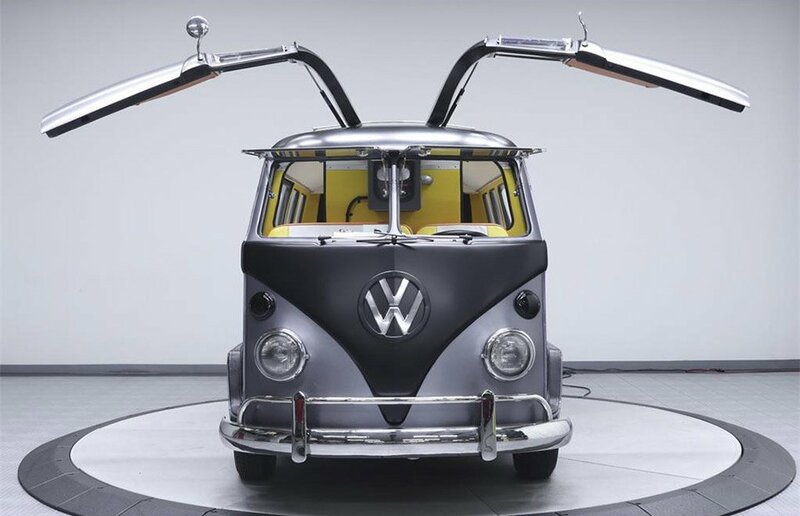 This very special VW Bus has been kitted out with gullwing doors, reminiscent of the ones on the DeLorean, and it’s for sale if you want it. 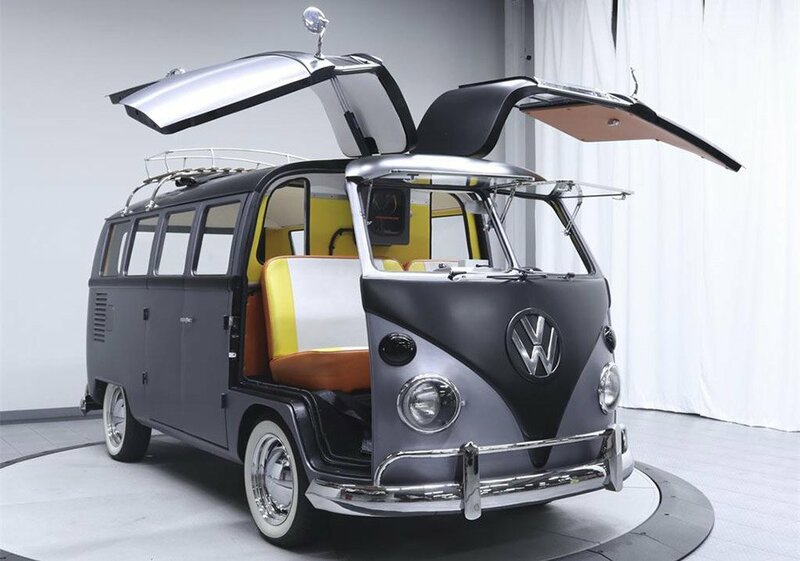 This three-door Volkswagen bus looks amazing with those bird-like doors, and is painted with a mix of dark matte shades, along with a matte aluminum finish. Inside, it’s tricked out with orange and white upholstery and a flat screen TV for rear seat passengers to enjoy. Out back is a classic 1.5-liter flat 4 engine, connected to a 4-speed manual gearbox. Plus, it has some very special features for Back to the Future fans – a flux capacitor and a time travel dashboard. 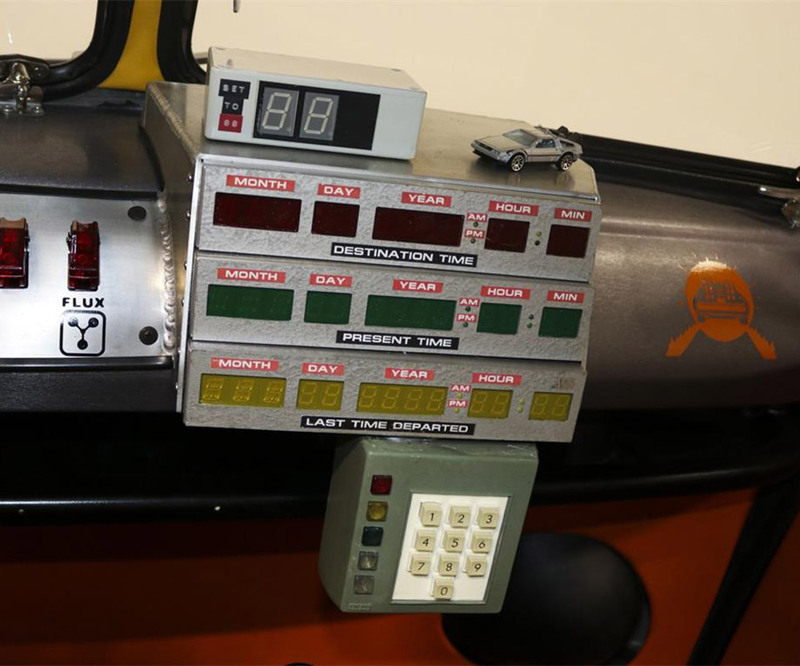 I’m pretty sure this thing can’t even hit 88 mph, but if it could, it would send you back to the 1960s, when van was originally made. 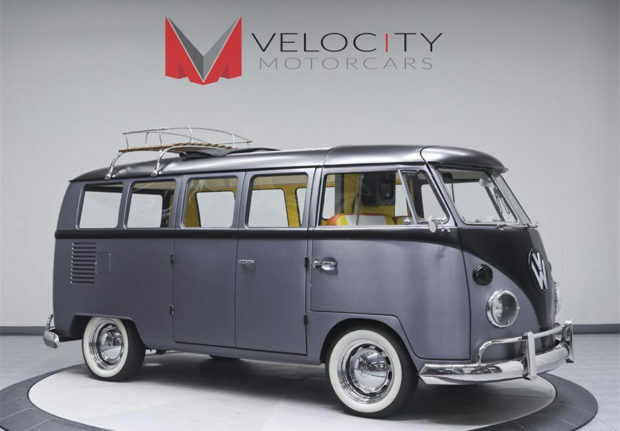 If you’re interested in this amazing custom van, head on over to Velocity Motors, where it’s available for sale with an asking price of $89,995(USD).